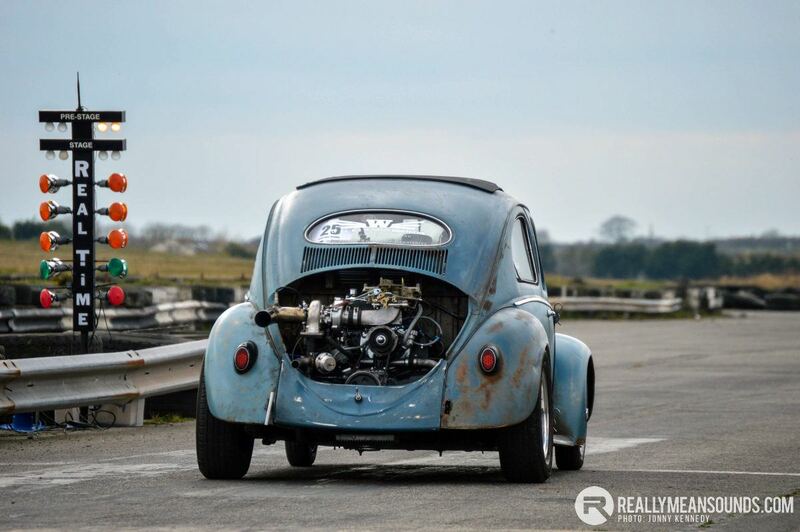 Sunday 20th March served as the opening round to the 2016 Drag Race Ireland season. 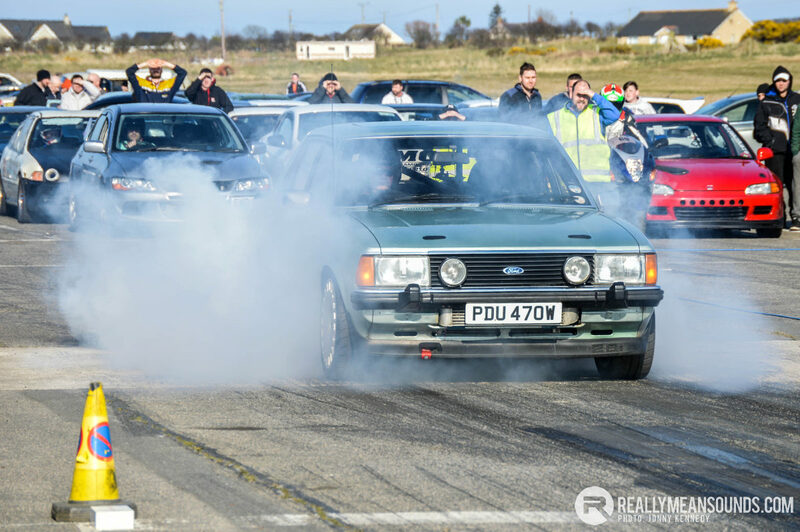 Practically every marque was represented, from the thundering Ford Granada of Stevie Ross, the usual herd of Hondas, an army of aircooleds and even a wide arched Cinquecento. A few practice runs in the bag and the times started to tumble as drivers blew out the winter cobwebs. It was a painful start for some as a few fell by the wayside early. However, the action never faltered with such a large line-up to keep things lively. The Top 10 shoot-out is indeed something to behold and puts a proper stamp on the day’s action with the hottest cars over every division vying for the top spot. This ‘Winner stays on’ format is where you see some giant killing feats. Indeed the Integra 1.8 Turbo of Richard Murphy looked like it might go all the way, only faltering against that thunderous Granada. In the end Michael White made this event his own taking not just the Class 2 win but with it the overall Top 10 shoot-out to boot.